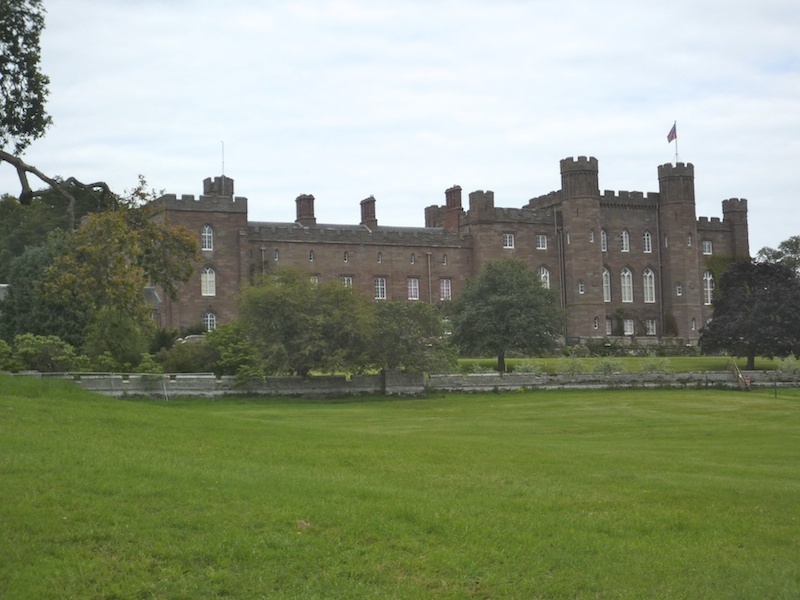 Our wet weekend in the grounds of Scone Palace has inspired my quiz for you this week. Scone Palace is the original location of the Stone of Destiny (otherwise known as the Stone of Scone) on which, traditionally, all Scottish kings were crowned. The Stone of Destiny is now in Edinburgh Castle, in a glass case alongside the crown jewels or ‘Honours’ of Scotland. Rough-hewn, with huge iron rings at either end, it looks a bit incongruous next to the delicate gemstones and pearls in their exquisite gold settings. I don’t have a photo of it, because photography in the chamber is prohibited; instead, I have found a public domain image of a replica of the Stone of Scone, which sits outside Moot Hill Chapel at Scone Palace. 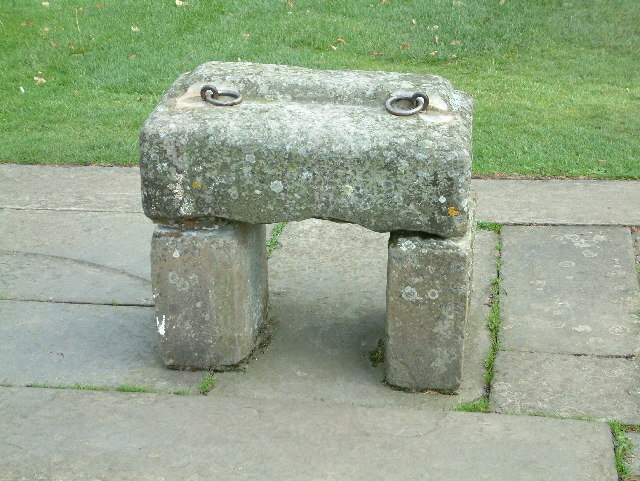 The addition of carrying ‘handles’ suggests that the Stone was not always kept in one place, or at least it was perhaps moved and kept under lock and key until another ceremony was imminent. But I’m pretty sure the original stonemasons didn’t anticipate how far this massive lump of sandstone would travel over the centuries. For its size and weight, the Stone of Scone has clocked up a surprising number of miles! There are some fascinating legends attached to the Stone, but I will tell you about these in a later post. I’ll reveal the answer on 12th July. Good luck! It makes me laugh, all this business with this lump of stone, but it’s got a marvellous history! Yes, if only…! They could solve so many mysteries! I find the Stone of Scone fascinating. Looking forward to more post about the stories of the Stone. Thank you! I do, too. I wish the original wasn’t ‘behind bars’ but I guess it is very precious and unique. Interesting tradition…I’m interested to hear more! It’s really fascinating – legend entwined with history and some wishful thinking thrown in! I’ll tell you more soon. There is one theory, as you no doubt know, that even the ‘real’ Stone of Scone is a fake. Supposedly there is some evidence to suggest that the original was an elaborately carved Pictish stone. Perhaps it’s buried under the moot hill at Scone! Who knows?! It’s a fascinating thought. I didn’t know the Queen was having lunch at Scone on Friday. Yes, if I was the Queen I would have brought my crown as well, the amazing Coronation one, to wear for any photos!